1. It's super easy to make. 2. 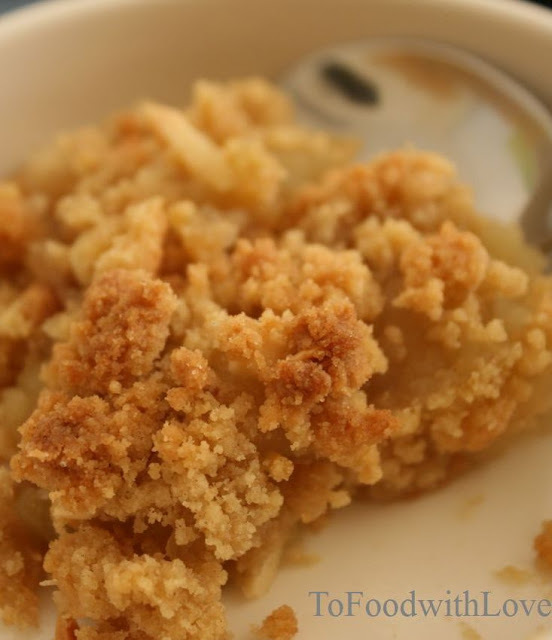 I love the many variations you can make to the fruit and crumble topping. 3. It's 75% fruit, so I don't have to feel guilty about eating too much of it. And of course, needless to say, it's crunchicrumblelicious. Easy step #1: Peel, core, dice and cook apples (I used Granny Smiths). Easy enough, but I got distracted and overcooked my apples by a weeny bit. 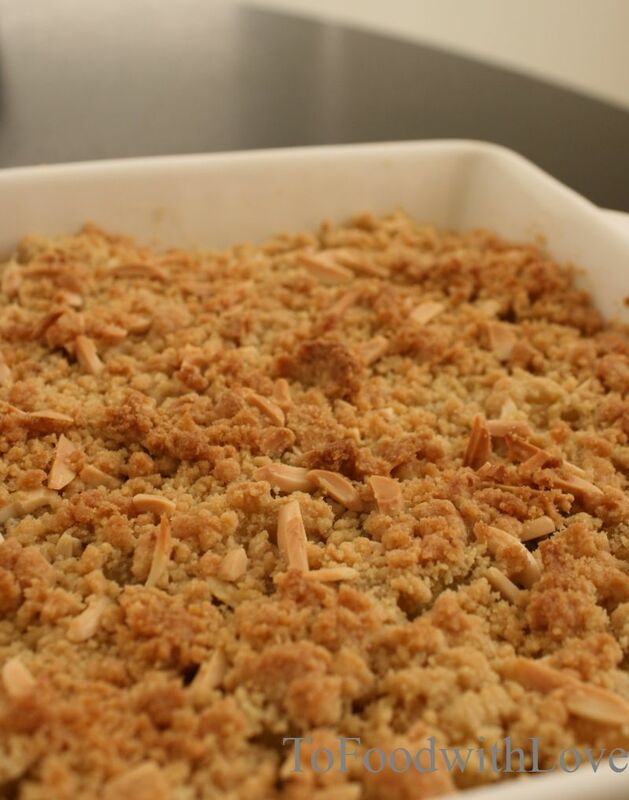 Easy step #2: Prepare the crumble mixture, which is made up of flour, butter, caster sugar and brown sugar, and I added almonds which I had in the pantry. Just rub them together with your fingers. No equipment required! Final assembly: Place apples in baking dish, sprinkle crumble mixture (and extra sugar on top for a sugary crust) and bake for 20 minutes. 4. You don't even have to wait for it to cool down before eating. Just grab a spoon and dig in! Apple and almond crumble..,,absolute YUM!